Suffolk-based #LitterHeroes Ambassador Jason Alexander has spent the past 15 years encouraging children and young people to get outdoors, get active and enthusiastic about nature. Through his work designing award winning wildlife camera systems, Jason has is now known as the 'Wildlife Gadget Man', his content earning him a keen following across social media. He’s now on a mission to help clean up the world, one Rubbish Walk at a time! Try and encourage at least two other people to do the same. His campaign has become hugely successful with over 9,000 people now following his journey on social media. Jason's efforts have also been recognised and he is being honoured with a Points of Light award from the Prime Minister - an award which recognises outstanding individuals making a difference to their community. 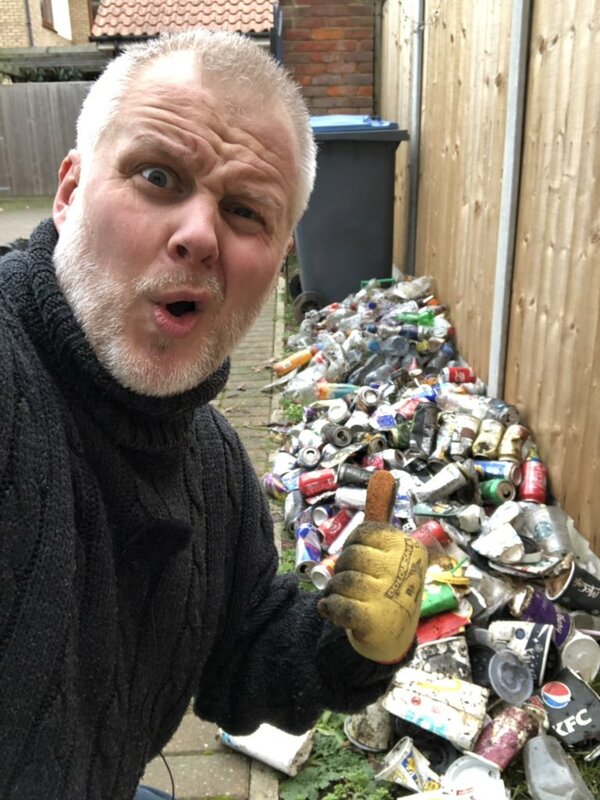 Because he is so passionate about being part of the solution, Jason has shone in his role as a #LitterHeroes Ambassador, drawing attention to the cause on a daily basis and influencing hundreds of people across the UK and beyond to join him. You can apply to become a #LitterHeroes Ambassador from 22 March - 6 May. For more information on the #LitterHeroes Ambassador programme, please email us. The #LitterHeroes Ambassador programme is funded by the Postcode Green Trust, supported by players of the People’s Postcode Lottery.